Here’s a textbook example of how to grow a pre-Initial Coin Offering (ICO) customer launch list to over 150,000 in 6 weeks. Let’s go right back to the start and find out how it was done. Finding its tribe. 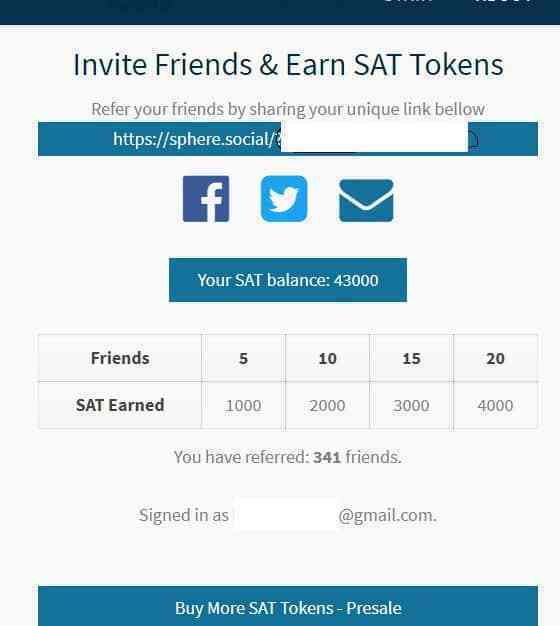 Sphere is an in-development social network, with a business model built around a new cryptocurrency called SAT (Social Activity Tokens). 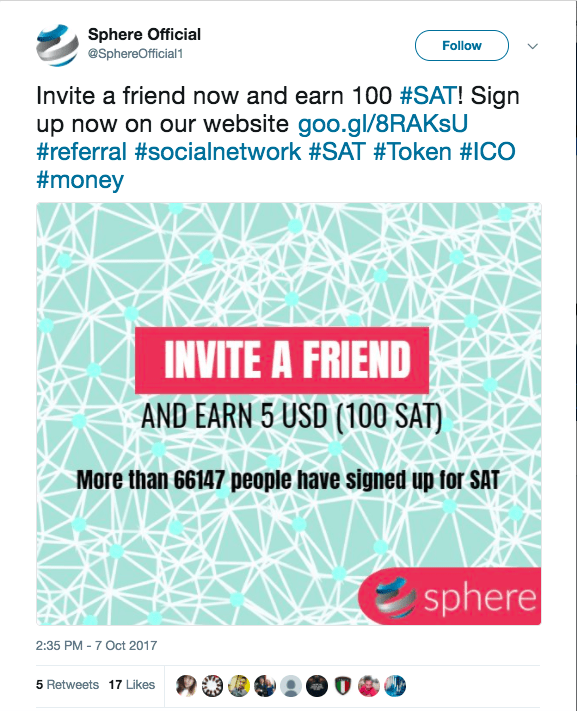 Sphere’s makers are holding an Initial Coin Offering (ICO) this November, to help SAT draw investment thick-and-fast. To give their ICO the best chance of success, Sphere needed to build a pre-ICO email launch list full of relevant, engaged people with a high likelihood of participating in the ICO. They had tried other tools and services to help build up a list, but encountered limitations wherever they looked. Sphere finally settled on working with Maître to deliver their pre-ICO campaign. Back in 1999, PayPal pioneered a game-changing referral campaign. When the person being referred signed up they got $10 credit, and so did the person referring them. At its peak in the early 2000s, this tactic was helping PayPal achieve 7-10% daily growth. Brands like Uber and AirBnb have since run similar growth-hacking campaigns – and Sphere wanted to take a leaf out of the same growth-hacking book. However, Sphere’s campaign goes further. Using Maître’s Viral Lead Magnet tool, it allowed referrers to use their own unique referral URL to earn as many referrals as they can. 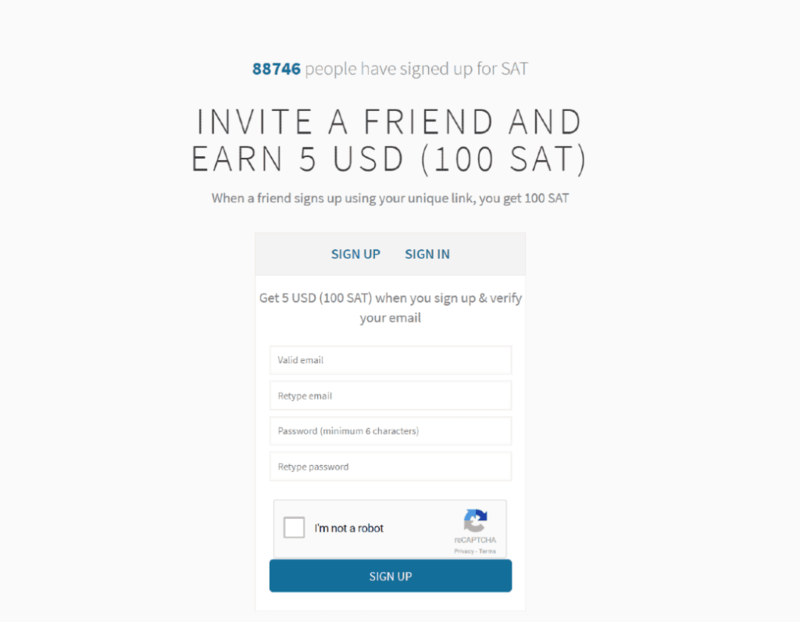 They can then login on Sphere’s website, review their referral stats and see the SAT balance they’ve earned. This encourages everyone from casual users to professional affiliate marketers to get involved in the viral campaign. An effective signup form is one of the fundamental ingredients of a successful email launch list. You can use your own custom form. Sphere chose to use their own – but from a back-end functionality perspective, you wouldn’t know it. They used Maître’s API 2.0 to connect the form seamlessly with the Maître app. The copy clearly communicates the referral offer, and adding the sign-up counter at the top is a great tactic to build trust. 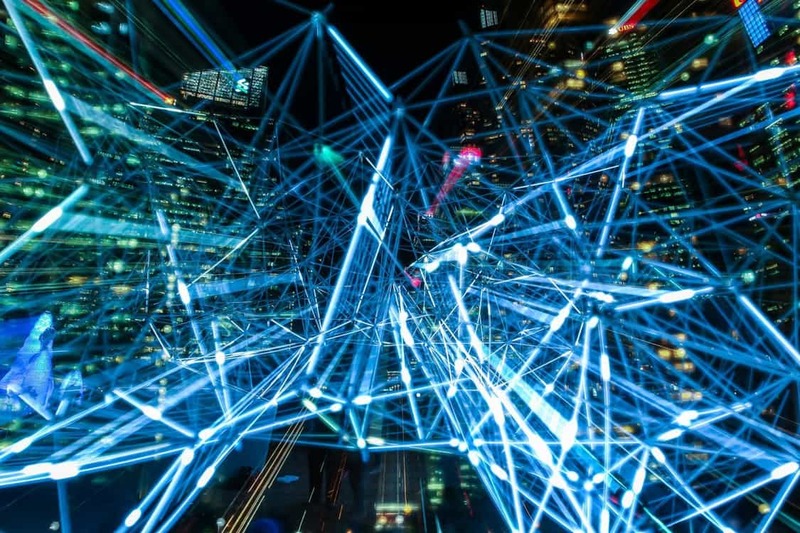 Via our API’s and having the ability to create custom forms enabled Sphere to incorporate some pretty awesome extra features: reCaptcha from Google, IP detection and an email list verification service. Sphere’s custom form features are great – but many of our customers prefer to use Maître’s ready-made, customisable sign-up forms. We would always recommend using your marketing channels to promote your pre-launch email lists. The relevant leads you attract in this way will increase the effect of your viral campaign exponentially. Sphere found great success in focusing its marketing on cryptocurrency users. They targeted this audience through Medium.com, Instagram and Twitter. As their existing social audience was well suited to the campaign, Sphere found that they didn’t need to run their paid ads aggressively. Sphere also attracted a lot of traffic from the bitcoin paid-to-click site, https://coinbulb.com. Coinbulb’s audience tends to be people who know all about Bitcoin and are seeking a new way to make money. These characteristics made them ideal targets for Sphere’s marketing. As Sphere’s campaign progressed, Viral Lead Magnet’s in-built autoresponder feature became the star of the show. 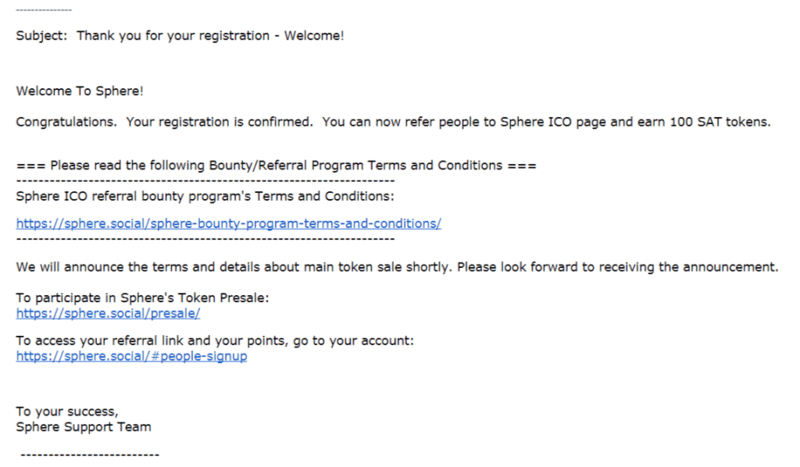 Sphere used this feature to send a welcome email (shown above) to users immediately after verification, which will have helped establish the brand’s credibility. They have also been using the autoresponder to send “Congratulations” emails whenever someone makes a referral. This creates a positive feedback loop that drives ongoing user engagement. If you’re not using autoresponder emails, you’re missing out. They achieve an average of 40% more engagement and referrals than manual replies. Sphere’s campaign quickly gained momentum using a tried-and-tested strategy. By week three the campaign had gained 150,000 subscribers. Around 110,000 (85%) of these were referred using the Viral Lead Magnet. This high level of viral growth helped ensure Sphere’s marketing campaign came in well under budget. Sphere now plans to use Maître Viral Lead Magnet to gain more viral leads for their ICO, which is pencilled in for November 15th. They hope to raise $500,000 for the project. You can read more about their fascinating plans in this whitepaper.